The hills are alive with the sound of “salute!”. 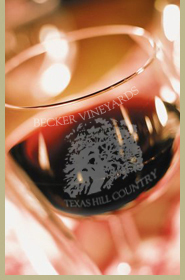 August brings about the festivities of harvest at our beautiful Texas Hill Country wineries. The annual self-guided trail takes place the second and third weekend of the month. The participating wineries sprinkled throughout the Hill Country debut exciting new wines providing insight into their winemaker’s visions. Please visit www.texaswinetrail.com for maps and other information.